Another article on GM Rapport. 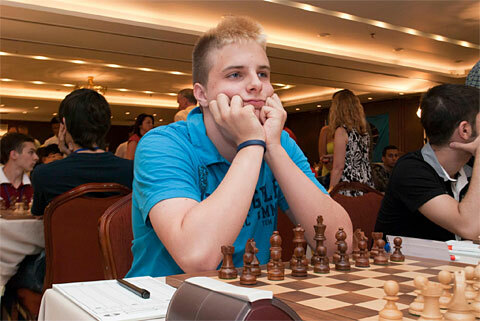 Three years ago, we wrote about the young Hungarian prodigy, Richard Rapport, on the occasion of his becoming the youngest grandmaster in the world. Today, at 17, both his physical appearance and his chess career have undergone rapid progress. He has sprung up, towering over almost anyone that stands next to him. His shyness has given way to an open and polite charm. He communicates confidently and is quite fluent in English and German. He has kept his modest manner, but he does not hide his jubilation when talking about his latest chess successes. Posted on July 23, 2013, in Rapport. Bookmark the permalink. Leave a comment.